If you love extra-long skinny scarves, and are looking for a versatile fashion accessory, then this scarf is for YOU! 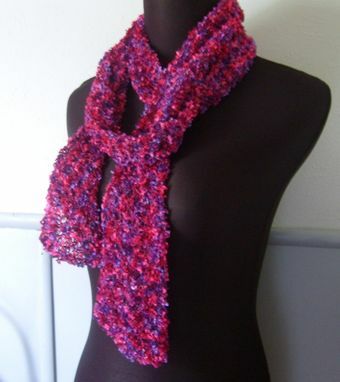 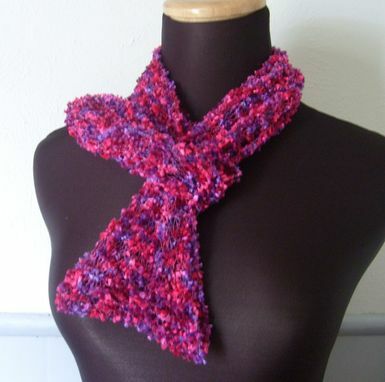 I handknit this scarf from a luxurious but thin ribbon yarn. 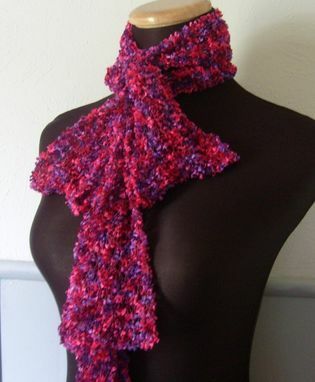 As you can see from the pictures on the right, you can wear this scarf in so many ways...around your shoulders as a wrap for that perfect evening dress, draped around your neck and tied in a bow, or double it and wear it around your waist as a belt for a stunning look for any pair of jeans or your favorite summer skirt. 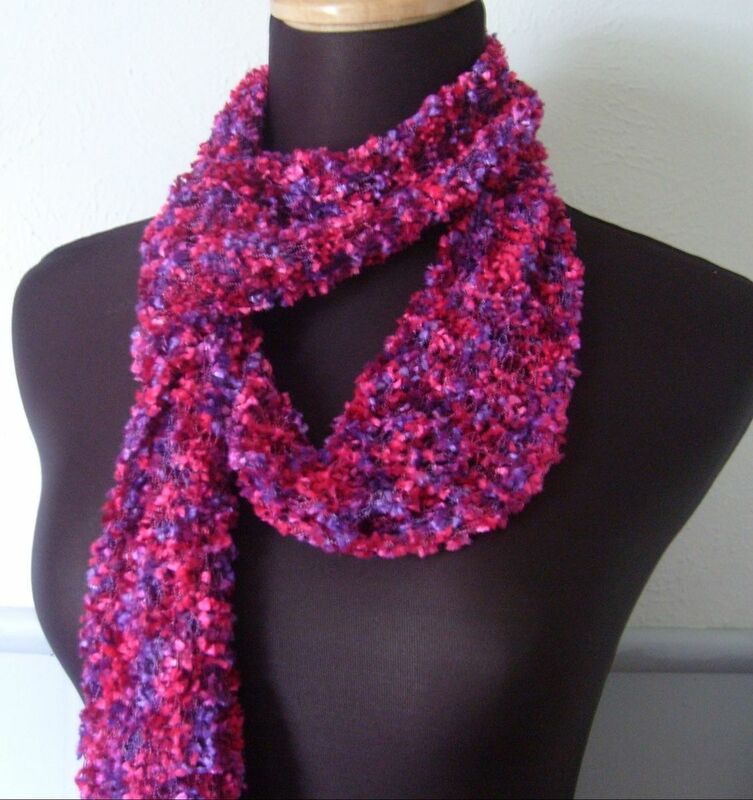 This extra long skinny scarf will be the perfect accessory to your wardrobe that you will find yourself reaching for again and again!